Bars in Tenerife mean much more than coffee, beers and booze. Bars in Tenerife are often Bar Restaurants. 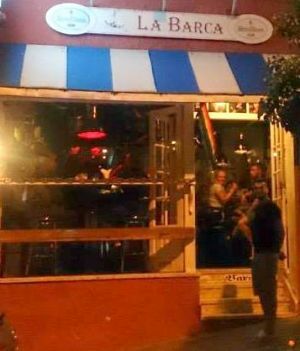 Then by law, they should display the sign BARc outside, such as Bar El Rubio outside Garachico in the Isla Baja where locals go to eat fish and seafood. 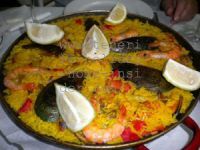 Check out Bar Rubio for its economical mouth watering Paella. Blanco Bar a Puerto Cruz disco cafe and restaurant that is leading in Tenerife for its constant live music events. 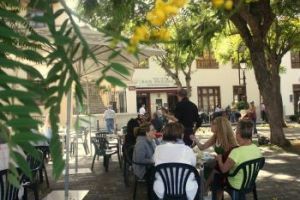 Bar restaurants in the Tenerife capital. Bars in Tenerife in one spot and more in la Noria. 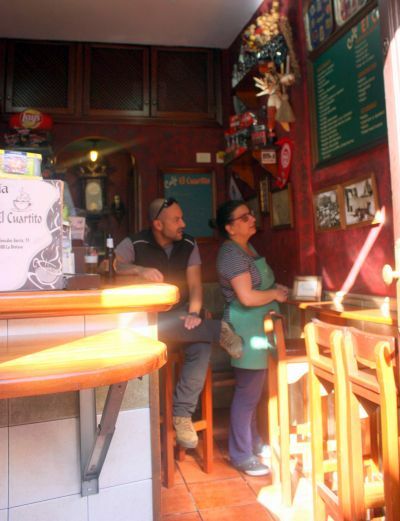 See more than three depicted bars in Tenerife in one spot at la Noria by clicking here. May be the smallest Tenerife bar. That means a mind bogging 12,47 square meters which include toilets. Coromoto doesn't do Tapas any more. However, the Bocadillo El Cuartito is said to be delicious. I will sample it when I shall pass again by the street of the Gofio Mills. Secret Tenerife Bodega bar where natives go. This Tenerife Insider bar has no name outside or inside. Four people who were my daughter Trish, a friend, our local guide and I sat at two round timber log tables and sampled a most delicious salad. The native chef took his time with an order. Meticulously, he worked in his visible miniature bar kitchen. He added fresh ingredients to his salads. Two or more people eat off the same plate with the salad of yam. It's the native way in Tenerife. The furniture of this indigenous bar follows ancient traditions. 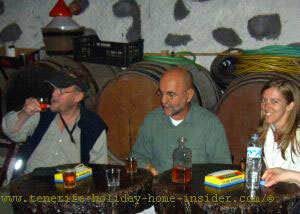 The smell of age old wine barrels and roof beams warms the heart. Dignified elderly men assemble there to watch local television. Roaring waves outside add to real time action with unparalleled scenery. Only friends, family and very special people may enter this place. Dog friendly bars in Tenerife. There are no known Tenerife bars where dogs may come inside. However, their street terraces are usually exceptions. Another bar for a happy dog vacation. In fact it's also classified a BarC which serves varied snacks. In the photo notice our dog Jesse under the table of the Bar also known as Cafe Ebano. The surroundings were much too attractive when other pets past. Permanent Jazz bars or clubs needed. 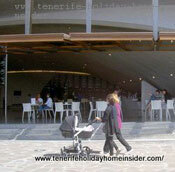 Many bars in Tenerife cater for special events, such as jazz with Ana Rodriguez. Find many of such concert places published by Spanish news of jazz. However, as said, a permanent Jazz bar/club is needed in the north of the biggest of all Canary Islands. Restaurant la Casona which also has a bar has live Jazz entertainment on weekends in winter, as seen here. 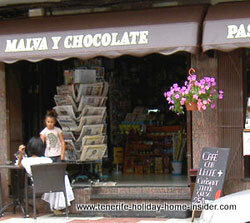 Bars in Tenerife mean also success in business or failure. The saying that a bar business is always a safe enterprise when nothing else has been working isn't valid in Tenerife. Why? There are simply too many bars. They often only differ by their specifications, such as Tasca, Cafeteria, you name it, as well as by their locations. 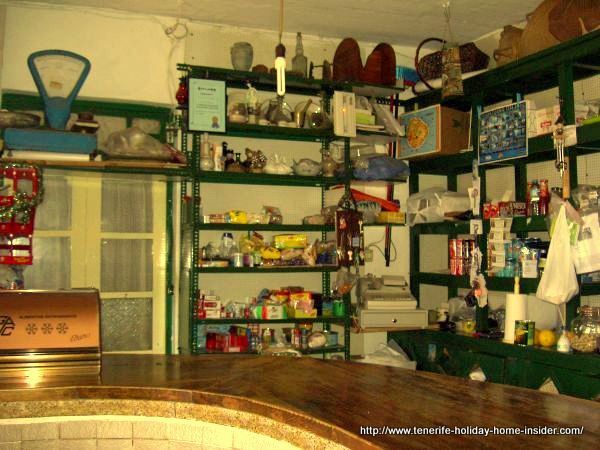 The rent free 60ies style bar Cerveceria Teteria Sueño de La Lucia of C/La Longuera, 60 of Realejos didn't last more than one year until Spring 2014. The good food and drinks at reasonable prices didn't help, as the waiter hardly ever smiled. Very probably, its Bohemian theme also needed a matching neighborhood. Then, a new, modern bar called Jeers that followed it had no luck either after it had removed its red tables and chairs on the street terrace. Then, a much more low key but higher quality business with charming staff took over. It was the Taperia Punto de Encuentro a bar restaurant of La Longuera. 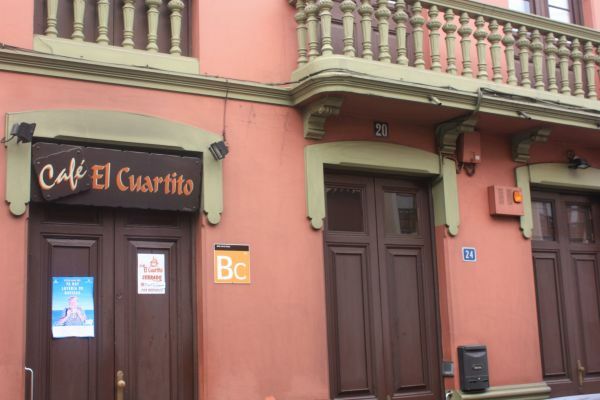 However, it resettled for family reasons on the ground floor of Hotel Puerto Palace in Puerto Cruz, while many of its Longuera customers were looking for it. Then eventually in 2018, the owners returned to mainland Spain to be near a son's university. The following business innovation bar with shop had an interesting scheme. Wonder why the new business ideas didn't work out by this Puerto de la Cruz bar of Tenerife. Most bars in gigantic premises fail, as rental prices are too high. 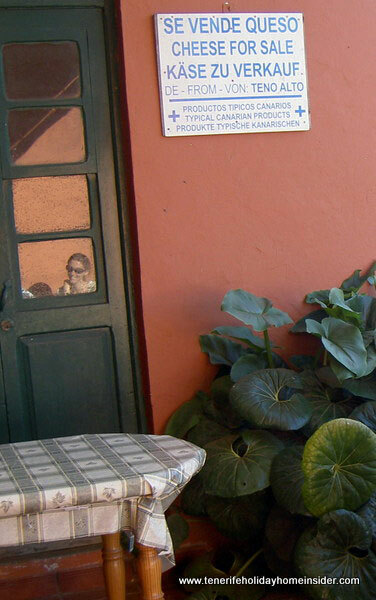 This has happened over and over in Casa Lara in Toscal Longuera. A new trend and life style. The new business idea of the legendary Malva and Chocolate bar became history for family reasons. 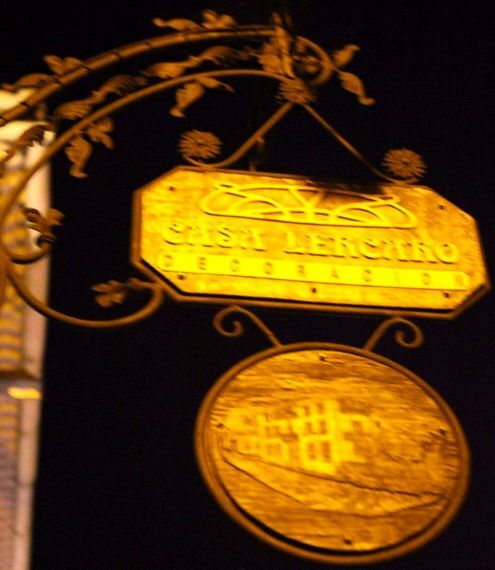 It now harbors the highly popular Restaurant Restaurante Pomodoro y Basilico. Click the photo link for some interesting information. 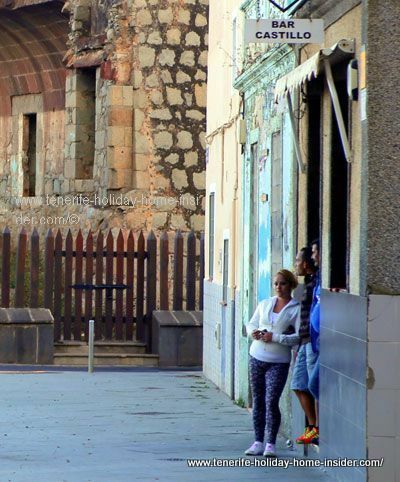 Shopping in vibrant La Longuera means socializing. By the looks of it, this is the village life style which so many British expats in La Longuera love, above all in winter. This popular Realejos sports bar El Paraiso displays two large TV screens with Sports channels. 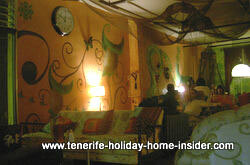 It is one of older bars in Tenerife. In fact, it has sponsored the local Soccer Club for many decades. It dates back to the Seventies of last century. It's at La Longuera 25 of Los Realejos right in the middle of the Open Commercial Center. British bars in Tenerife and why beer and sports is a good match. Nowadays, most bars in Tenerife for British Nationals are in Arona by the Adeje coast, Las Americas, Los Gigantes and at el Medano. 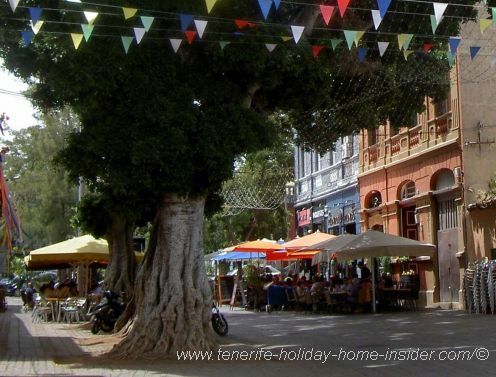 A few popular Tenerife sports bars that are loved by English speakers remain in Puerto de la Cruz. Bars in Tenerife with free Internet? Tenerife bars where guests can freely log into the bar's Wifi are rather common now. Just ask the waiter for the bar's code. However, the Internet service is quickly overloaded and the connection may even interrupt. Discover how university town students often dominate their own bars... The Cervezeria 7 Islas one of top Tenerife bars in La Laguna whose stocks are mostly beer orientated is like that. News for more student bar hangouts Tenerife. Bar La Parada 1930 of La Orotava's town square Plaza de la Constitución by the bridge. The town of La Orotava above Puerto de la Cruz became the second Tenerife university city in 2013. This study center is sort of a daughter of the big Madrid university on mainland Spain. That should give a boost to the towns bars. It's best that you order drinks and Tapas inside the bar La Parada. Ask to be served on its terrace under the beautiful trees. 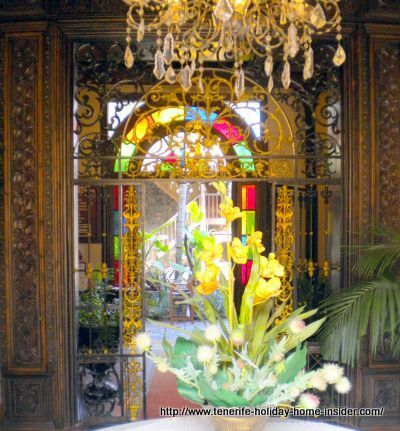 Bars and more called Cafe Grimaldi at Casa Lercaro of century XVII. Cafe Grimaldi with more than one Tenerife bar and restaurant. 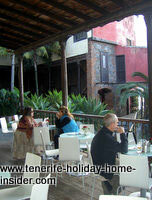 Two nooks of several Tenerife bars of all sorts called Cafe Grimaldi of Casa de Lercaro of La Orotava. There are even more options than depicted here for eating out at the so called Cafe Grimaldi. 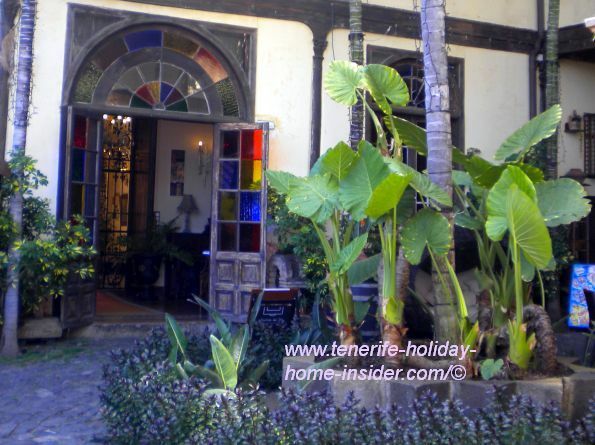 Best eating out in Orotava at the Tenerife Bars and Restaurants Grimaldi further up the road from Plaza de la Constitución. German Carnival bars in Tenerife that stood the test of time. 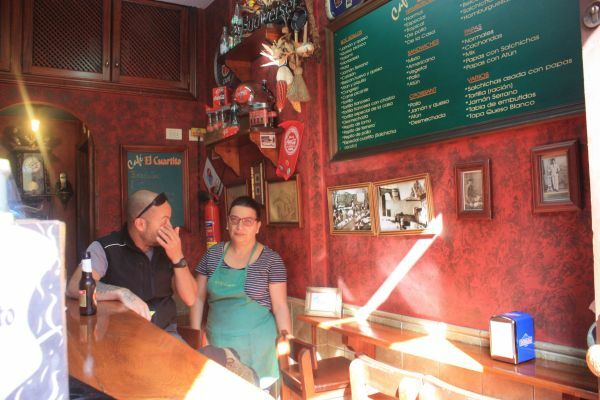 Achim and Ricardo's charming little Bar la Barca which is open every night from 8p.m. to 2a.m. Where is la Barca? In Calle Monturrio,5 of the suburb Toscal La Longuera by Puerto de la Cruz. The Orotava Puerto Cruz Abaco is one of my family's favorites for a cocktail at night. 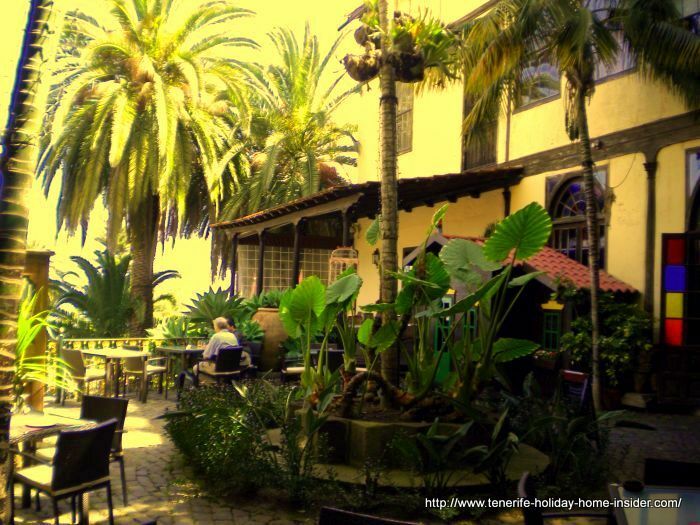 Walk right in and explore its paradise with Tenerife Abaco bar photos. Cocktail route competition at bars in Tenerife. Nowadays, bar cocktail route competitions have become trendy just like those for Tapas. Best, colorful, alcoholic drinks win. In the south, I would always prefer Harry's bar in Arona (Tel: 0034+ 922 383307 open 10a.m.-2.a.m. )with its mellow music and views of the musical fountain which is depicted with the bar at the Safari Center. German Hannen Bar Puerto Cruz. Popular for its authentic German Hannen Bräu beer off the barrel. Favored bar as hot spot during carnival and to drench real thirst. 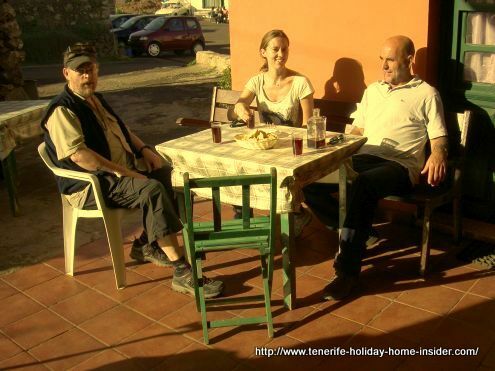 Teno Alto Bar Terrace for an ideal cheese and wine break in the Tenerife mountains. Teno Alto bar with country shop that sells important basics to the local community. Our local guide introduced us to one of the Teno Alto bars with a shop (a tienda) whose goat cheese and good local wine he fancies. The cheese of this small country business is advertised in three languages by the green timber door outside. It conveys a warm welcome with olden days flair. The door's glass reflects a tiny mirror image of one of my companions. You enter and can take a seat on one of the bar stools. Auditorium Bar at the seaside in the Santa Cruz de Tenerife capital. Contemplate the bar's ocean scenery under stars at night or when the sun goes down. It's by the Maritim Park of Santa Cruz which has free parking. It's also right by the TF1 Southern freeway. Beach bars Puerto de la Cruz. Enjoy live music and delicious fish to eat in winter and perhaps in July or August in the depicted bar next to Castillo San Felipe. That's at the most popular Beach Bar Restaurant of Playa Jardin beaches. Service is generally very fast. Beach bar El Charcón further along Playa Jardin at the Punta Brava seashore is popular with Spanish seafood lovers. It has facilities to close its make shift windows when it's windy. Molly Malone Bar live Irish music video. Let me include this Irish bar of Des Reid, as an exception. Why? I prefer to add event bars under the topic entertainment. The location of the Molly Malone bar is C/Las Longas opposite the Tourist offices by the pier of the tiny Puerto de la Cruz harbor. Compare a Tenerife bar in intriguing set-up to one with similar name. Perhaps, its' one and the same as being a street corner bar. An interesting bar alternative with Vegan food for eating out with a dog in Candelaria Tenerife. From bars in Tenerife back to entertainment Tenerife where some bars also feature as clubs, such as the Cuban Disco Azucar. An excellent article about the world's most famous bars.